Big news for anyone curious about Windows 8, Microsoft today announced what the official name for Windows 8 is going to be! Ready for it? Well, there will be 2 names for the next version of Windows, actually. One will be the Windows 8 while the other will be Windows RT. Let’s explore the differences between these two line of Windows. Windows 8 is the successor for Windows 7 while Windows RT is a new line in the Windows Family. The biggest difference between Windows 8 and Windows RT is that Windows 8 can run all your old Windows apps. Windows RT cannot run any apps designed for Windows 7 or earlier; in fact, you cannot install any desktop apps in Windows RT other than the ones pre-installed with the OS. Another big difference is that Windows RT will have office included for free! It will have Word, Excel, Powerpoint, and OneNote. Windows 8 will require you to purchase Office. From a technical prospective, Windows 8 will run on x86/x64 architecture processors while Windows RT will run on ARM processors, like the iPad, iPhone, and other smartphones. Finally, Windows 8 will be both pre-installed on PCs and tablets and can be purchased separately for upgrading from older operating systems. Windows RT will only come pre-installed on specific PCs and cannot be obtained separately. Both Windows 8 and Windows RT will have the Metro user interface, and they will be able to run Metro Style apps and make use of the new Windows Store to get new applications. 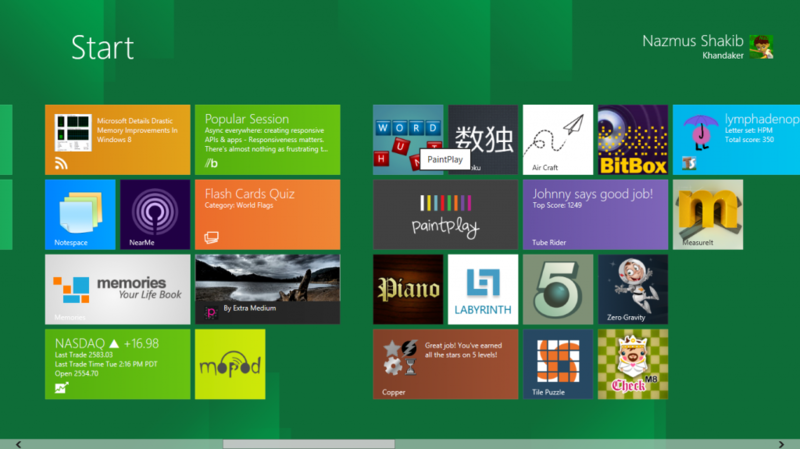 However, there can be even certain Metro Style apps that can run only on Windows RT or vice versa. Windows 8 will be separated into two mainstream editions: Windows 8 and Windows 8 Pro. Windows 8 Pro will have advanced functionality included to the standard Windows 8 experience, including encryptions, virtualization and the ability to create virtual machines, domain hosting and joining, and more! Windows Media Center will be included as a “Media Pack” purchase for Windows 8 Pro users. For specefic details on what each editions of Windows include or are capable of, check out the chart provided on Microsoft’s blog.